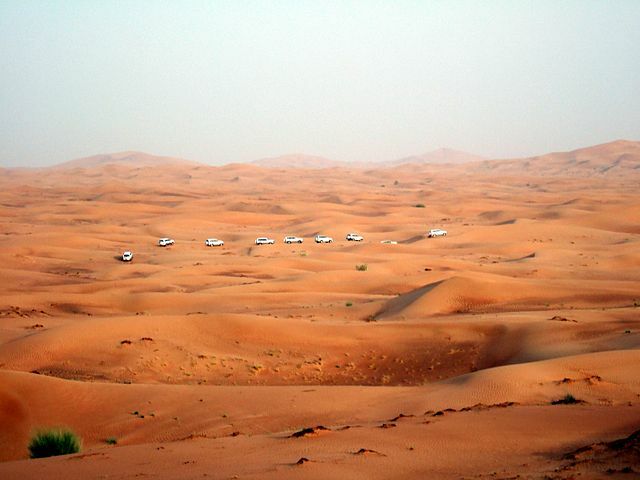 The United Arab Emirates is still one of the most exotic and unknown locations on the planet. This federation of absolute monarchies on the southeast end of the Arabian Peninsula was established in 1971. Since then, it's made its mark on the world, first as one of the top ten oil producers, then with the lavish lifestyle of all that oil money, and more recently, as an increasingly popular travel and cruise destination. 1. There are 7 emirates in the United Arab Emirates. They are: Abu Dhabi (which also serves as the capital) Ajman, Dubai, Fujairah, Ras al-Khaimah, Sharjah, and Umm al Quwain. The largest emirate, Abu Dhabi, is nearly 90% of the UAE's land mass – over 67,000 km squared (26,000 sq. miles). (Abu Dhabi Skyline photo, top. Credit.) It and splashy Dubai are the best known. The smallest emirate – Ajman – would fit into Abu Dhabi 25 times. Saudi Arabia surrounds the UAE to the west, south, and south-east, with Oman on the south-east and northeast, and the remaining border is a 650 km (400 mile) coast along the Persian Gulf. The emirates' largest natural harbour and cruise port is at Dubai. 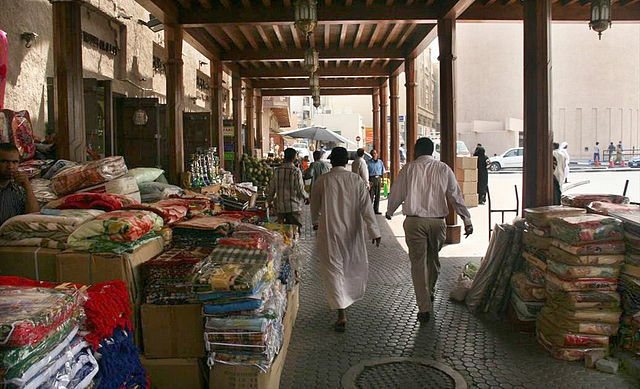 About 10 million people live in the UAE. Only 1/10th of those are Emirati citizens and the rest are expatriates; laborers and domestic workers from mostly 3rd world countries, and some business expats from the West. 2. It has the tallest skyscraper in the world. Even in a region known for surreal cities of glass and steel sprouting out of the desert that surrounds them, the Burj Khalifa (Khalifa Tower) stands alone. Inspired by traditional regional architecture, this mega-tall skyscraper tops out at 829.8 meters (that's 2722 feet). Imagine this: it's so high above the earth that, standing on higher floors of the tower, you can still see the sun for a couple of minutes AFTER it has set at ground level. 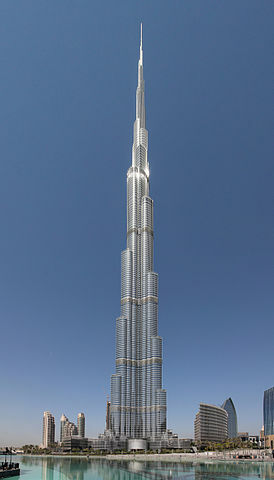 The Burj Khalifa has blown away dozens of world records, including tallest structure, tallest structure ever built, building with the most floors, highest elevator, highest outdoor observation deck, highest nightclub, and highest restaurant. It's the centerpiece of a massive mixed use development that includes an artificial lake and parkland fed by water from the vast air conditioning units of the tower. You simply will not get a more spectacular view over Dubai than from the tower. 3. And the world's largest artificial island. You've probably seen photos of this. 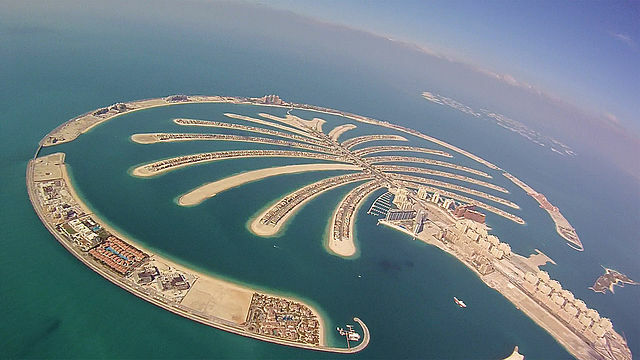 The Palm Jumeirah artificial archipelago of reclaimed land on the Persian Gulf coast of Dubai, part of a development to increase Dubai's shoreline by 520 km (320 miles). In a complete break from any previous land reclamation project ever undertaken, the development's encircled palm tree design not only takes your breath away, it also maximizes beachfront. Privately-owned villas, hotels and resort areas occupy the palm fronds and circle. Hotels, resorts and hotel residences in this spectacular setting include: The Fairmont Palm Hotel & Resort, St. Regis Hotel – The Palm, Kempinski Hotel & Residences, Sofitel Dubai, The Palm Resort & Spa, The Langham, Palm Jumeirah, Waldorf Astoria, Dubai Palm Jumeirah, W Hotel, Viceroy Palm Jumeirah Dubai, and dozens of independent properties. There is no other hotel / resort destination in the world like the Palm Jumeirah. 4. And the largest man-made marina. The man-made Dubai Marina is built along a 3 km (2 mile) stretch of shoreline on the Persian Gulf. This artificial canal city is said to be inspired by Concord Pacific Place along False Creek in Vancouver. When complete, it will overtake the current world's largest man-made Marina del Rey in California and be home to over a hundred thousand people in its residential towers. Dubai Marina is a completely new waterfront. Engineers brought the waters of the Gulf into the site of the man-made marina. A large central waterway runs the 3 km length of the site; marine wildlife, including whales, are known to travel inland from the open sea into the marina. The waterways of the marina are complemented by 8 km of landscaped public space. 12% of the land surface of the Dubai Marina is devoted to public space. You may not think of a desert country as a place to go to the beach, but places like Dubai Marina do give you the opportunity to swim in the local waters. (Carefully check and follow designated areas to avoid breaking strict public dress codes). 5. But the Emirates aren't just ultra-modern cities. There is still Nature in the Emirates. 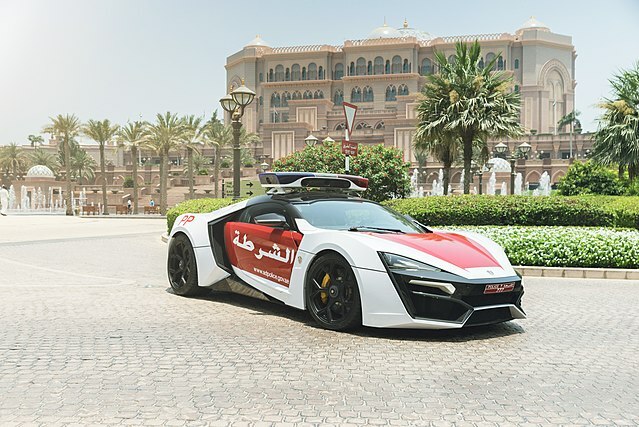 Outside the futuristic, man-made environments of the UAE's cities, are vast deserts with rolling sand dunes, oases that provide water for settlements, and grow date palms, acacia and eucalyptus trees. The desert itself is not barren; grasses and thorn bushes continue to support wildlife. Conservation programs initiated or supported by the Emirates' royal leaders are helping ensure the survival of wildlife species near extinction from hunting, including the Arabian Onyx, Arabian camel and even wild leopards. The United Arab Emirates is one of the most astonishing, contradictory, ultra-traditional and futuristic, spectacular travel destinations in the world.